Cost-effective, reliable, easy to use, easy to maintain and the perfect antivirus solution for your business. No hardware or software to purchase or maintain. Fully cloud hosted and managed service, based on GFI VIPRE Antivirus Business, renowned for high performance, low impact and no hassle. At its core is an antivirus and antispyware engine that merges the detection of all types of malware into a single efficient and powerful system. The best part of our Managed Antivirus is that it is integrated into NexLynx&apos;s suite of Managed Remote Services so we are alerted if a system hasn�t updated properly or if a threat is detected. Easily installed over the Internet in a few minutes. Detects and blocks viruses, worms, spyware, Trojans, bots and rootkits via a single, powerful anti-malware engine. Monitors and protects against known and unknown malware threats, including zero-day threats, in real time. High performance threat protection with low impact on system resources. 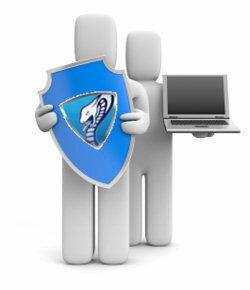 Fine tune protection policies for your servers and workstations including scan schedules, remediation action (i.e. what to do if a threat is discovered) and file and folder exclusions. 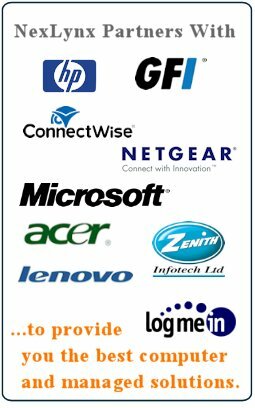 With many devices managed by NexLynx we�ll provide better knowledge of threats and policy design. NexLynx Managed Antivirus Protection Gold package. Advanced Anti-Rootkit Technology - Finds and disables malicious hidden processes, threats, modules, services, files, Alternate Data Streams (ADS), or registry keys on a user&apos;s system. Removing rootkits is supplemented by FirstScan which runs at the system&apos;s boot time. Bypassing the Windows operating system, to directly scan certain locations of the hard drive for malware, removing infections where found. Real-Time Monitoring With Active Protection - Active Protection delivers real time monitoring and protection against known and unknown malware threats. Working inside the Windows kernel (the core of the operating system), watching for malware and stopping it before it has a chance to execute your system. Full Protection against Email-Borne Threats - A comprehensive protection against email viruses, with direct support for Outlook, Outlook Express and Windows Mail; and support for any email program that uses POP3 and SMTP (Thunderbird, IncrediMail, Eudora, etc. ).